Andrew Gulliford has researched Native American sacred objects and sacred places throughout the West, Alaska, and Hawaii. A graduate of Colorado College (B.A., M.A.T.) and Bowling Green State University in Ohio (Ph.D.), he is a professor of Southwest Studies and History at Fort Lewis College in Durango, Colorado. Previously he directed the Public History and Historic Preservation Program at Middle Tennessee State University near Nashville. His photographs of American Indian sacred sites have been published in Norenewable Resources (1994), The Secretary of the Interiors Report to Congress: Federal Archaeological Programs and Activities, 1993 (1993), and Advisory Council on Historic Preservation, Report to Congress and the President, 1993 (1993). His previous books include Boomtown Blues: Colorado Oil Shale, (which recently won the Colorado Book Award) and Americas County Schools, both published by the University Press of Colorado. His book Sacred Objects and Sacred Places: Preserving Tribal Traditions is now in its second printing. 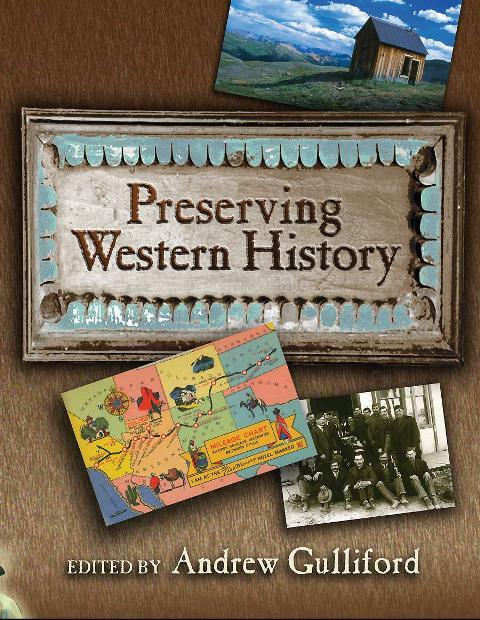 In 2005 the University of New Mexico Press will publish Preserving Western History: Public History and Historic Preservation in the American West, which Dr. Gulliford edited. Formerly the director of the Western New Mexico University Museum in Silver City, New Mexico, Gulliford curated one of the largest prehistoric Mimbres pottery collections. He has worked with the Ute to document, preserve, and protect the Ute Trail on Colorados Western Slope, and he now works with the Eastern Shoshone in Wyoming on museum and preservation planning. For the American Association of Museums he reviews tribal museums and historic sites with Indian collections, and for the Smithsonian Associates program, he has led tours on the Columbia and Snake Rivers in Washington and Oregon and on the Lewis and Clark Trail by canoe and horseback in Montana and Idaho. He has received a Take Pride in American National Award from the secretary of agriculture for outstanding contributions to Americas natural and cultural resources; the National Volunteer Award from the chief of the United States Forest Service; the Second Annual James Marston Fitch Mid-Career Award for Historic Preservation; and the Award of Merit from the American Association for State and Local History. The governor has appointed Andrew Gulliford to the National Register Review Board for the state of Colorado, and the Secretary of the Interior has appointed him to the Bureau of Land Managements Resources Advisory Council for Southwest Colorado.